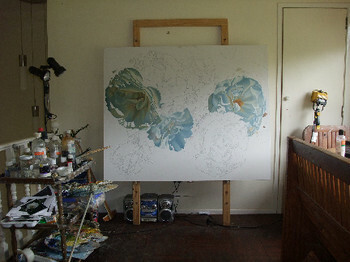 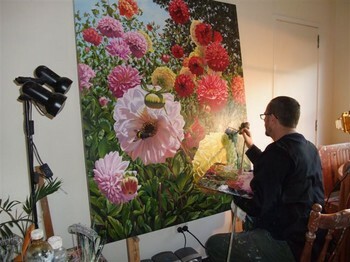 A series of photographs showing our brilliant floral artist Paul Coney in his studio painting his latest work 'Summer Dahlias' and stages of a painting 'Icebergs' which is featuring in the upcoming Summer Exhibition. 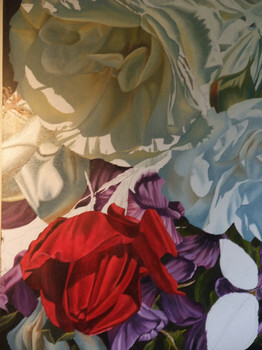 With all subjects Paul Coney achieves a transparent effect with oil by first establishing a loose ground with a primary wet-on-wet wash. 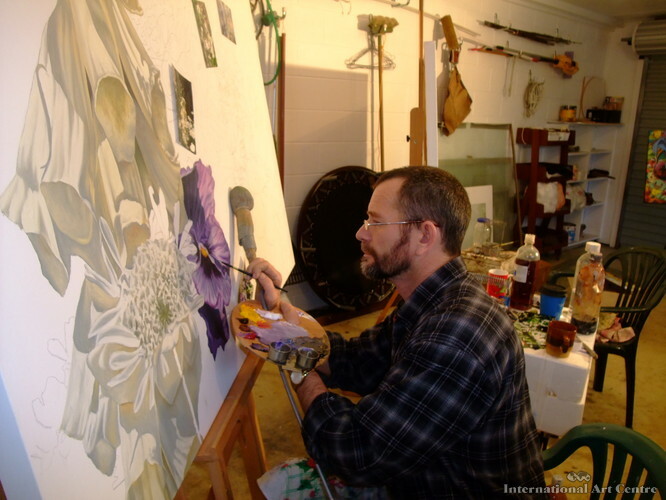 He then builds on the initial wash paying close attention to light, textures and above all, colour, as he believes this is one of the major factors in bringing a painting to life whilst retaining the freshness and spontaneity which are so characteristic of the oil medium. 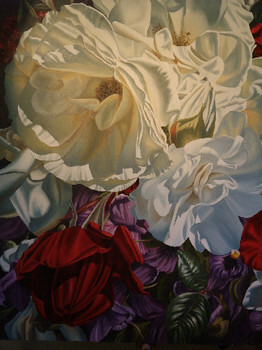 His amazing technique brings together the natural combination of his subjects in oil to express in delicate, exquisite detail the very essence of their beauty. 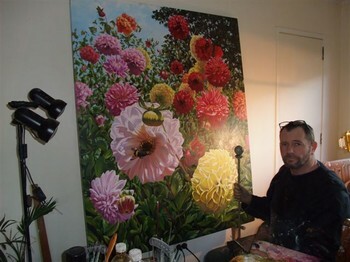 For example, when choosing a floral subject Paul says "nature does it for me, every garden has a thousand pictures. 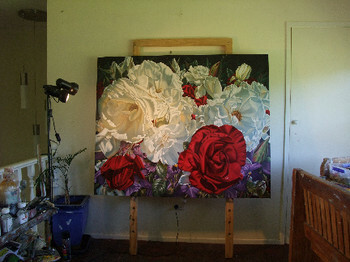 The challenge is to capture a particular flower at its most dramatic moment." 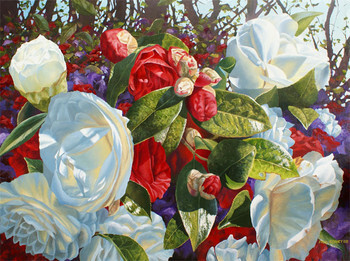 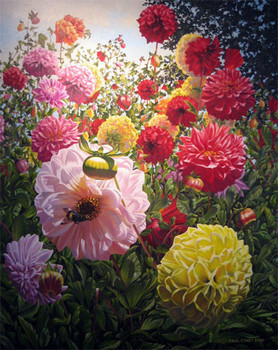 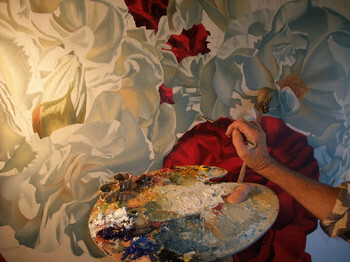 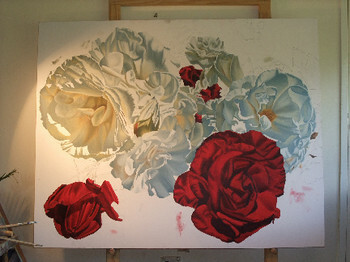 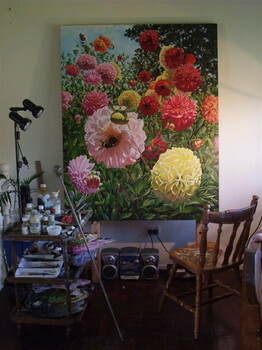 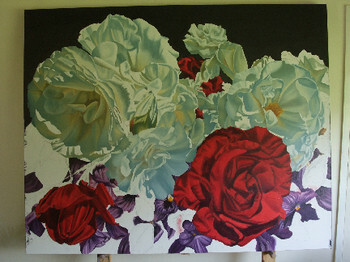 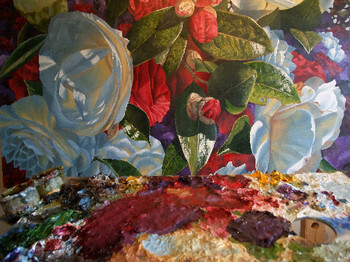 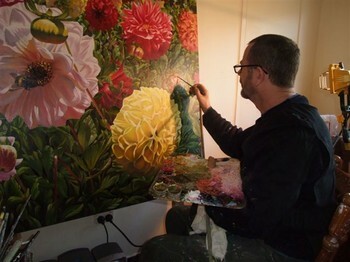 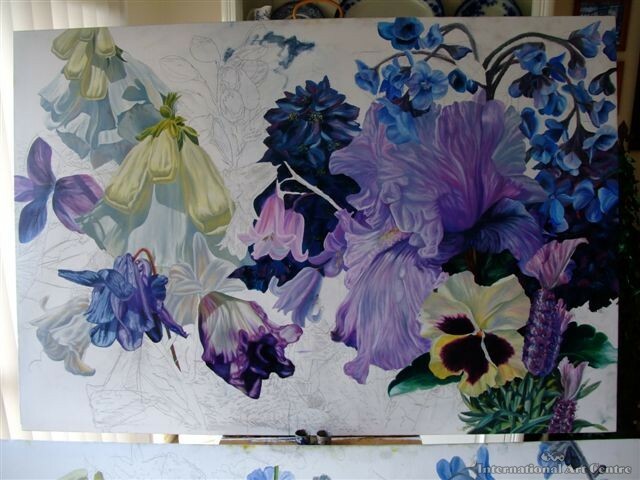 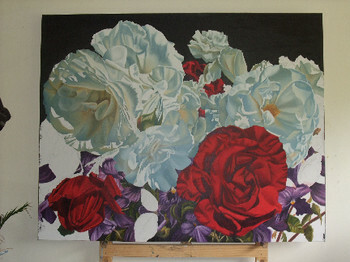 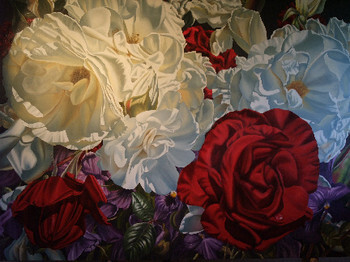 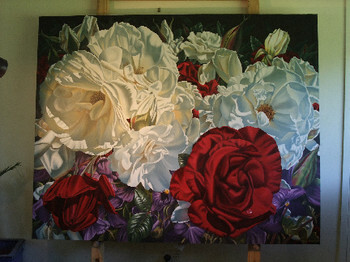 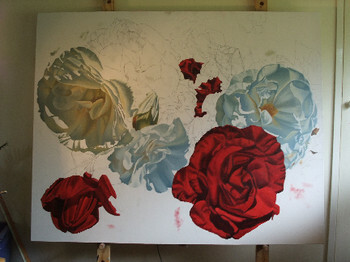 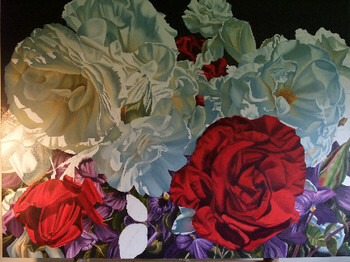 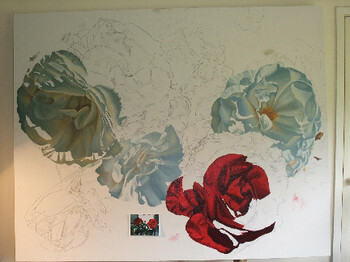 Living in the Bay of Plenty, Paul Coney's works are ranked with the very best floral painters in the world. 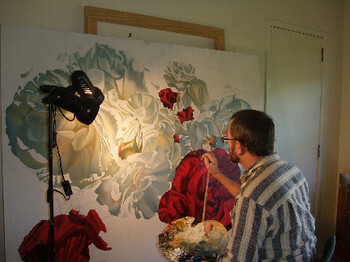 His works are sought by discerning collectors worldwide. 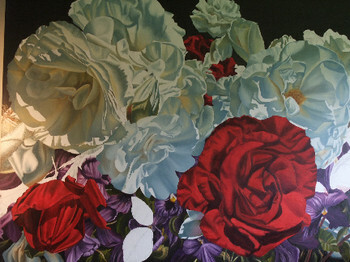 New works by Paul Coney feature in our upcoming Summer exhibition which opens 11 December.